Will there be another season of Sweet/Vicious? Recently, MTV boss Chris McCarthy told Deadline there’s still a chance for a second season of the low-rated TV series. 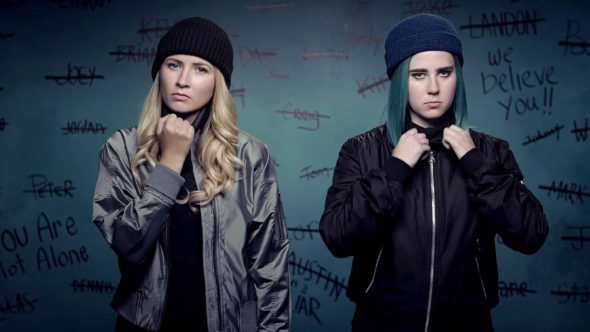 The comedy centers on two female college students who secretly act as vigilantes targeting sexual assailants. The cast includes Eliza Bennett, Taylor Dearden, Nick Fink, Dylan McTee, Brandon Mychal Smith, and Aisha Dee. Sweet/Vicious ended its first season on January 24th to low ratings. Overall, the 10-episode season earned an average rating of .08 in the 18-49 demo and only 180,000 viewers — making it the lowest-rated scripted series on MTV. What do you think? Have you seen Sweet/Vicious? Do you want a second season? More about: MTV TV shows: canceled or renewed?, Sweet/Vicious, Sweet/Vicious: canceled or renewed? Sweet/Vicious: Is the MTV TV Show Cancelled or Renewed for Season Two? I binge watched the entire series in 2 days with my best friend after we found the series. Of course they cancelled after I feel inlove with the show. Please do season 2. Please! KEEP IT! I love it.